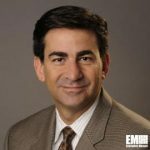 Frank Jimenez, formerly a general counsel, secretary and managing director at agribusiness firm Bunge, has been named general counsel at Raytheon (NYSE: RTN). He assumed the role Monday and succeeds Jay Stephens, who will retire from the company on March 31 after a 12-year career there, Raytheon said Friday. “In addition to his legal expertise, Frank’s leadership, management skills, and in-depth customer and industry knowledge will support our global growth objectives, ” said Thomas Kennedy, Raytheon chairman and CEO. Jimenez has also held the vice president and general counsel roles at ITT Corp. and later served in a similar position at ITT’s spinoff company Xylem. Prior to ITT, he oversaw legal functions at the U.S. Navy and U.S. Defense Department. He also served as a chief of staff to Department of Housing and Urban Development Secretary Mel Martinez, a deputy chief of staff and acting general counsel at Florida Governor Jeb Bush’s office and a law clerk for Ninth U.S. Circuit Court of Appeals Judge Pamela Ann Rymer. Jimenez is also a former litigation partner at Miami-based law firm Steel Hector & Davis.